The market research company expects the Chinese market will decline by 15 GW this. Part of this slow-down, however, will be off-set by lower module prices and accelerated demand across markets with pent-up demand. Pressure it set to rise on PV makers in 2018, as the Chinese market declines. 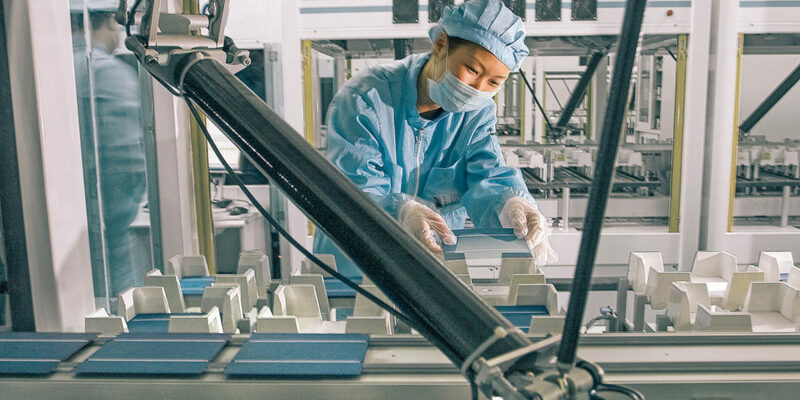 UK-based market research company IHS Markit is forecasting another wave of oversupply, low profitability and consolidation in the industry on the back of a policy-lead decline of the Chinese PV market in 2018. IHS revised down its guidance for newly installed global PV capacity for 2018 last week, as a result of the recent measures introduced abruptly by the Chinese government to contain solar energy development this year. The company said it now expects approximately 105 GW in newly installed PV capacity for this year, 8 GW less than its previous forecast of 113 GW. This result, however, would be still 11% higher than in 2017, it stressed. As for the Chinese market, IHS Markit has cut its growth forecasts by 15 GW to 38 GW. Most of this year’s projects, according to the company, will be grid-connected in the first half of the year, due to the new 30th June deadline set by the Chinese government, while in the second half newly installed solar power will be less than half the number installed in the first half of the year. Dropping modules prices due to overcapacity in the Chinese industry will lead to make solar PV more competitive in power markets worldwide, research director for solar and energy storage at IHS Markt, Edurne Zoco said. As a consequence, marketswith pent-up demand such as, among others, India and Australia will particularly benefit from increasing competition among Chinese PV panel suppliers. Lower modules prices, which according to BNEF may even drop my more 30% after the new provisions of the Chinese government, could also spur additional growth in Europe, where the effect of cheaper modules may be combined with the cancellation of minimum import prices by the EU, and the US, where lower prices may off-set the 201 case import duties, while creating the conditions for more solar module imports. “The fact that solar is becoming increasingly competitive in power markets worldwide perhaps offers some light at the end of what is currently a rather dark tunnel for the PV industry,” IHS Markit said in its statement. The company, however, has made it clear that we will have to see, again, another wave of oversupply, low profitability and consolidation in the industry. Only two days earlier, the European solar association SolarPower Europe had revised its 2018 outlook for the global PV market from 107 GW to 102 GW.